Security, pro A/V, facilities management: Introducing the Rhino 4200 Industrial Labeling Tool. Features: Familiar computer-style QWERTY keyboard; new "Favorites" key for quick access to common labels, symbols and terms; new "Custom" key—save label formats and avoid repeated steps; one touch "Hot Keys" for fast, easy labeling at the touch of a button: Breaker, Code 39 and Code 128 barcodes, Wire/Cable, Rotate, General; pre-programmed symbol library: Pro AV and Security, Electrical, Warning, Punctuation, Arrows, Brackets, Numbers, and Currency; integrated rubber bumper protects against damage; print in seven text sizes and five styles: bold, italic, underline, narrow, and box; industrial-strength jobsite-tested labels stick and stay stuck; easy back peeling; industrial-strength adhesive resists moisture, extreme temperatures and UV light; thermal transfer technology—text won't fade or smudge; available in five materials: flexible nylon, permanent polyester, heat-shrink, vinyl and non-adhesive; UL recognized; heat shrink tubes: tested to SAE, ASTM and military specifications; label widths and colors meets OSHA, ANSI, and ISO standards— 3/4", 1/2", 3/8", 1/4" in red, gray, orange, white, brown, violet, blue, green, and black; large, backlit display is easy to read, even in dimly lit areas; takes six AA batteries or the DYMO Quick Charging lithium-ion battery. The Rhino 4200 Industrial Labeling Tool: label with confidence, label with pride, label with DYMO. The DYMO: Rhino 4200 is packed with new features and the latest technology to meet your label making needs. Check out the video for more information. 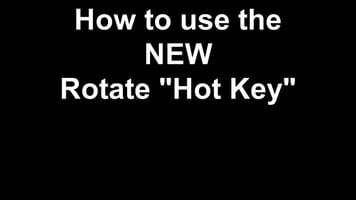 DYMO: Rhino 4200: How to use the rotate "Hot Key"
Check out the video for a tutorial on how to use the rotate "Hot Key" on the new DYMO: Rhino 4200. 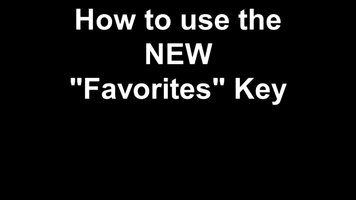 Check out the video for a tutorial on how to use the new "Favorites" key on DYMO's Rhino 4200 label maker. 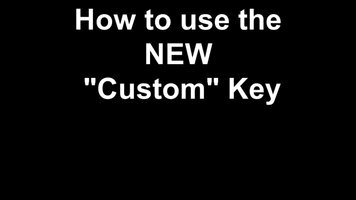 Check out the video for a tutorial on how to use the new "Custom" Key on the DYMO: Rhino 4200.